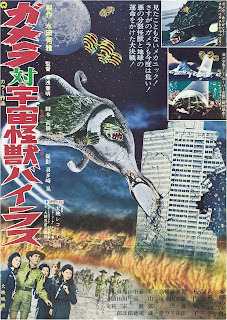 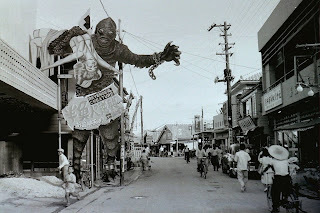 My favorite of the Gamera pictures! 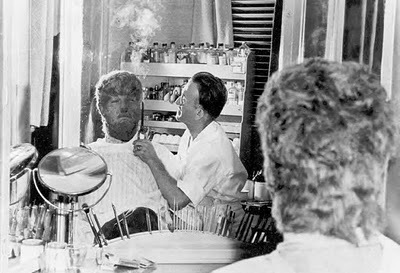 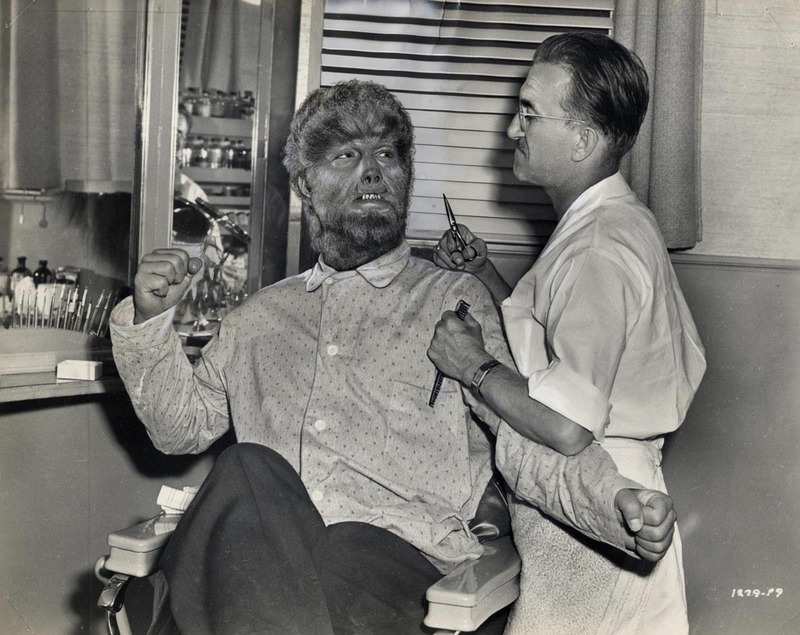 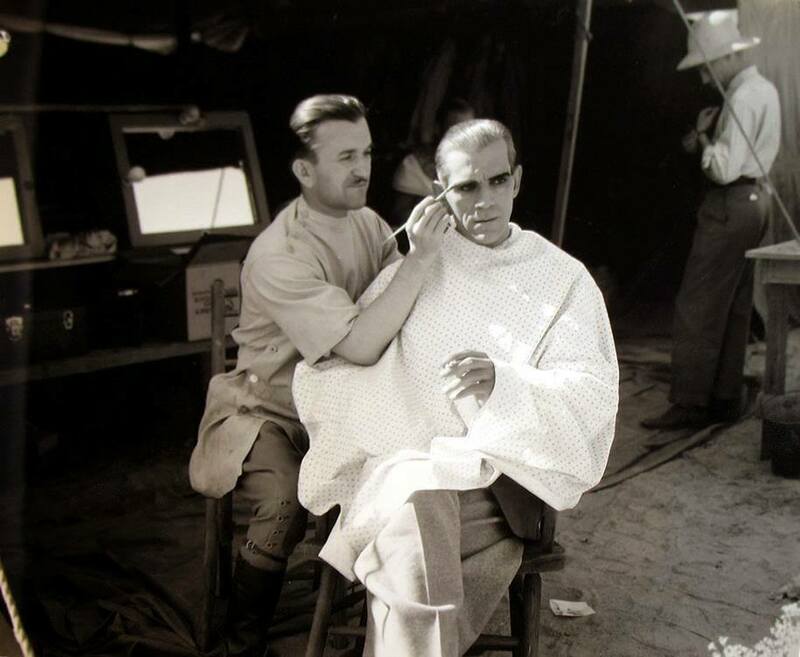 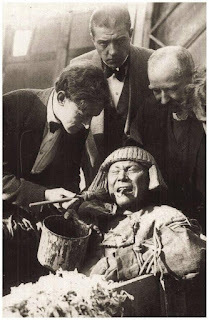 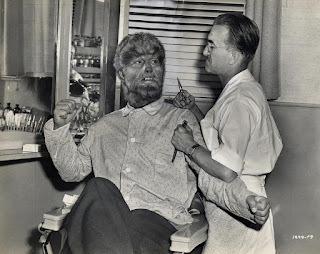 Jack Pierce singes yak hair on Lon Chaney's face for "Frankenstein Meets the Wolf Man". 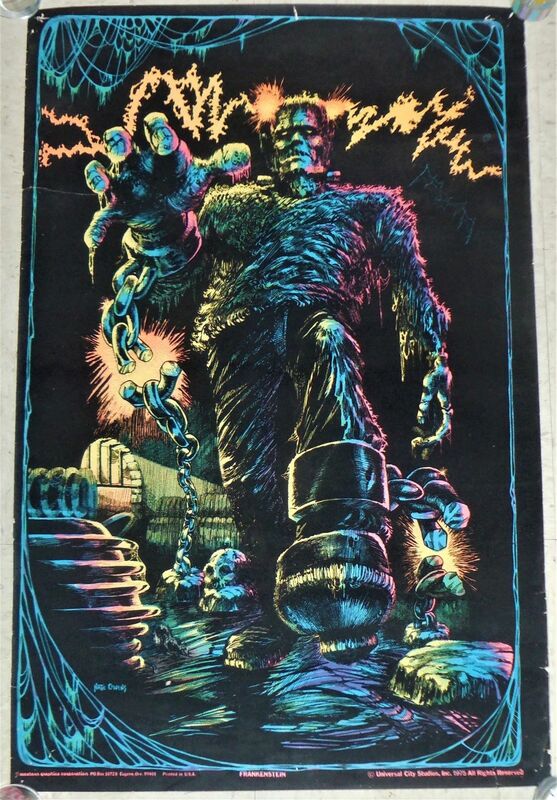 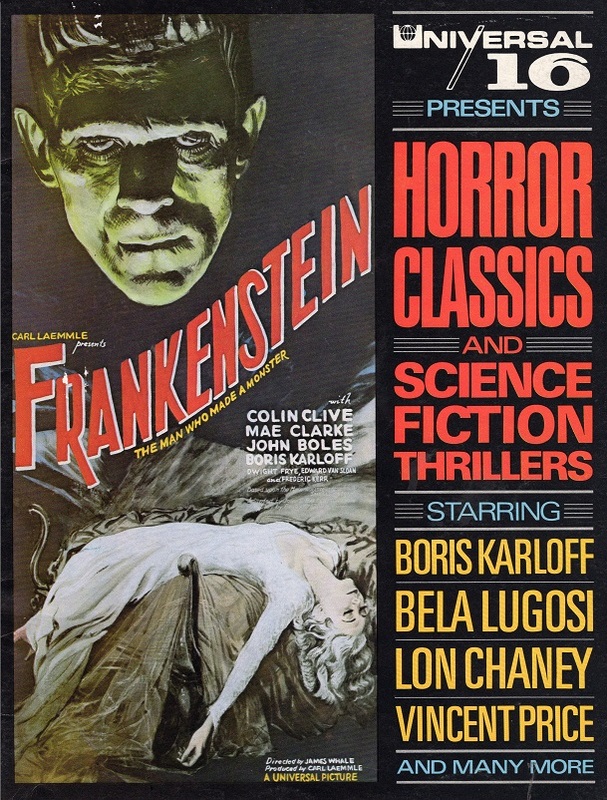 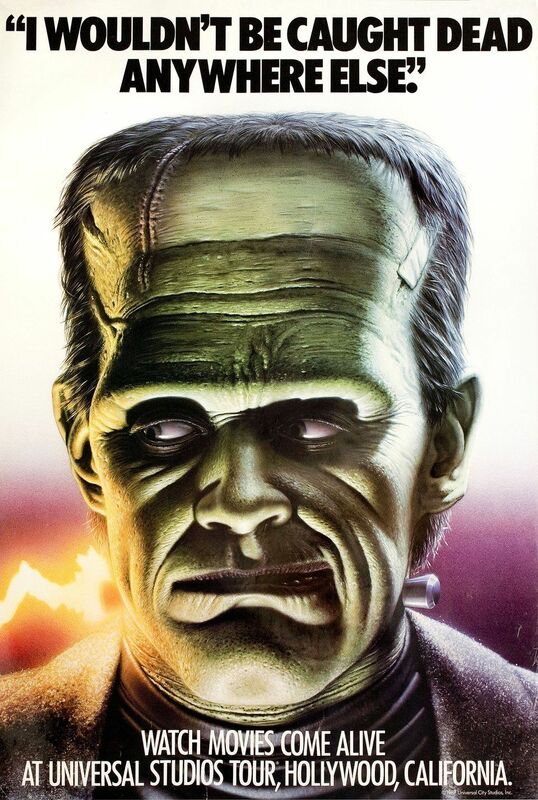 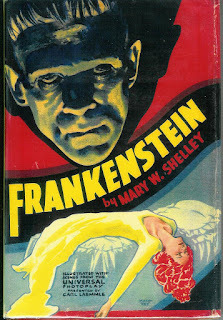 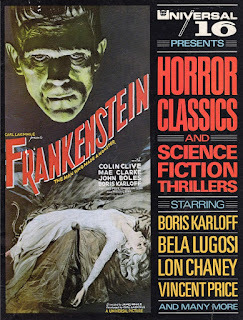 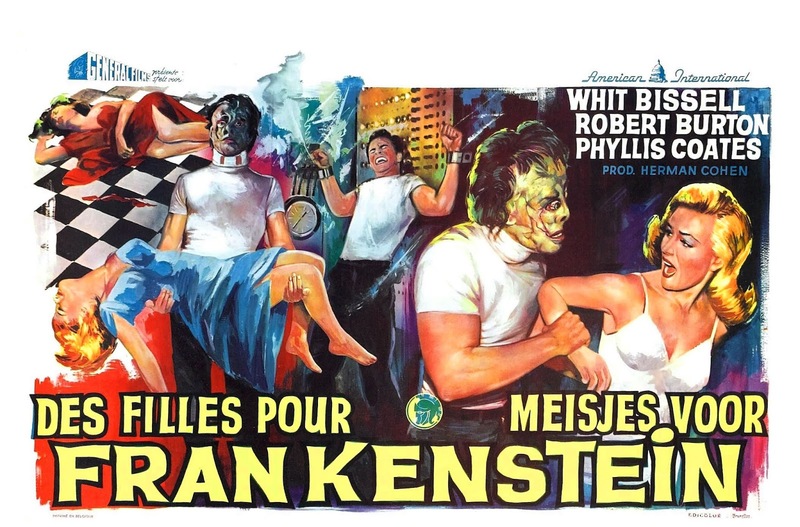 Here's the cover for the movie tie-in edition of Mary Shelly's "Frankenstein"! 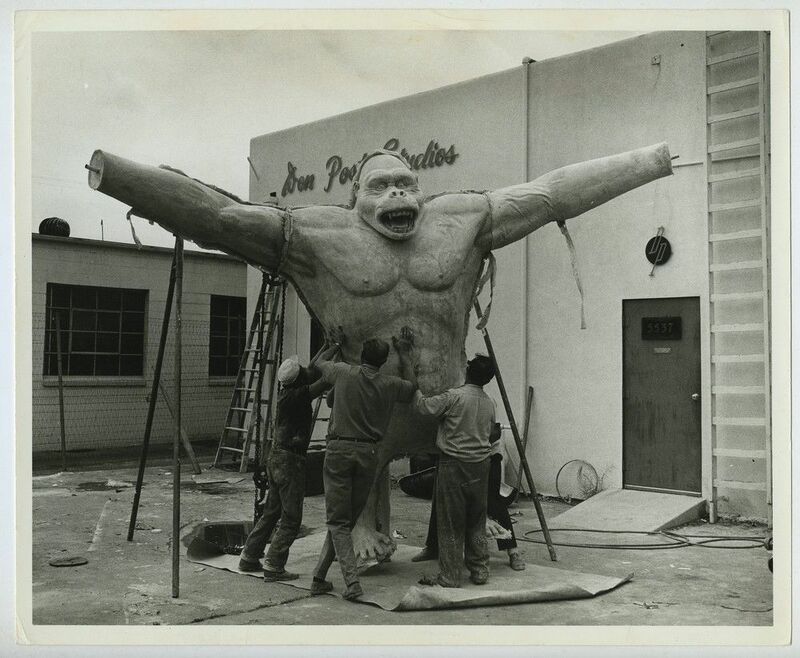 At the Don Post Studios. 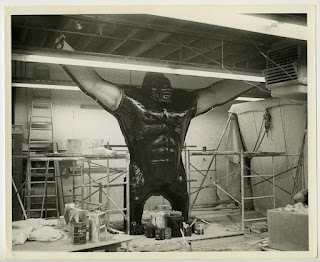 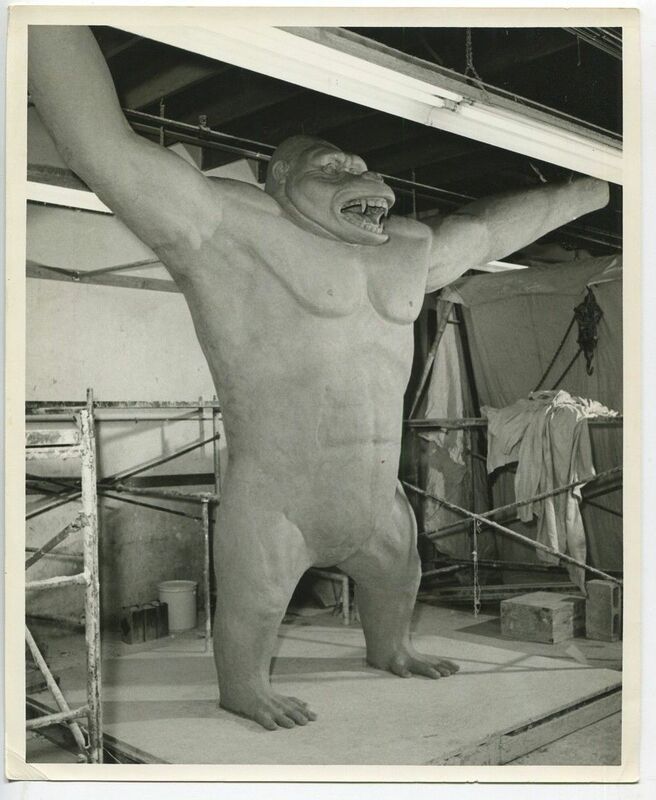 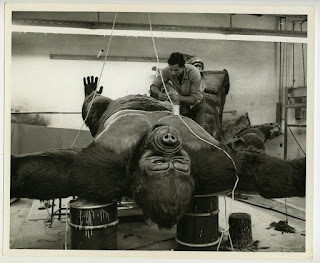 Here is the creation process of Don Post's gigantic Kong statue! 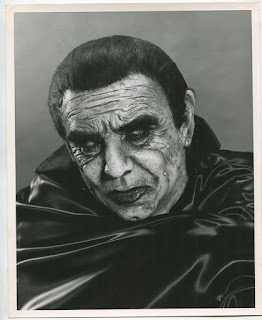 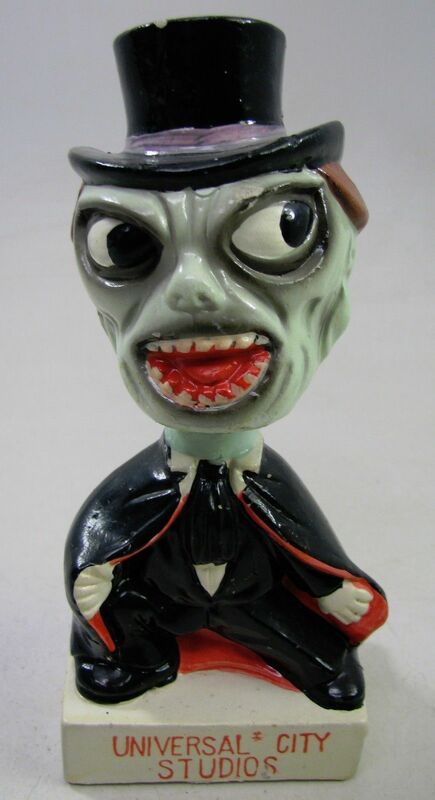 Here's the Don Post Dracula Calendar Mask. 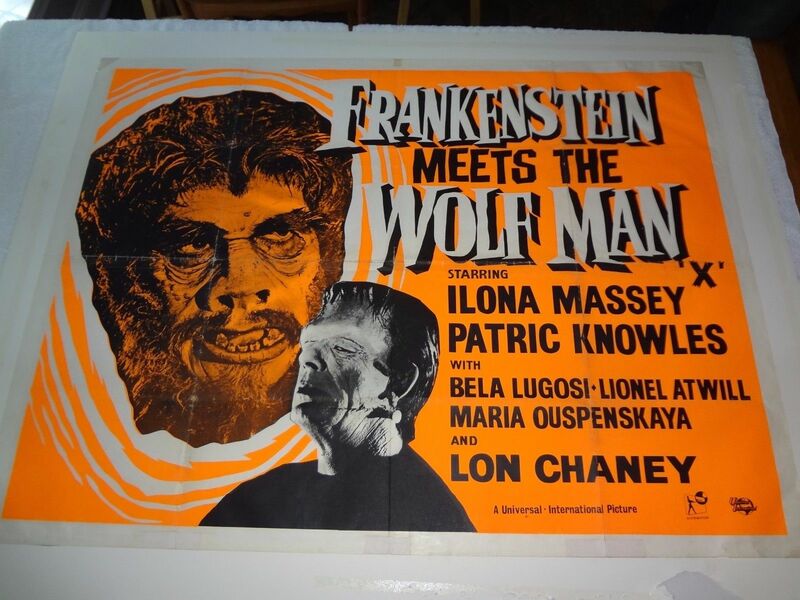 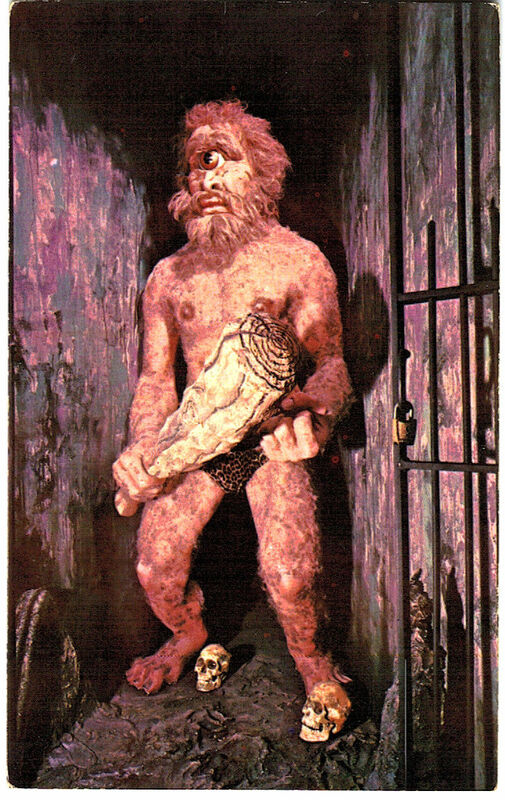 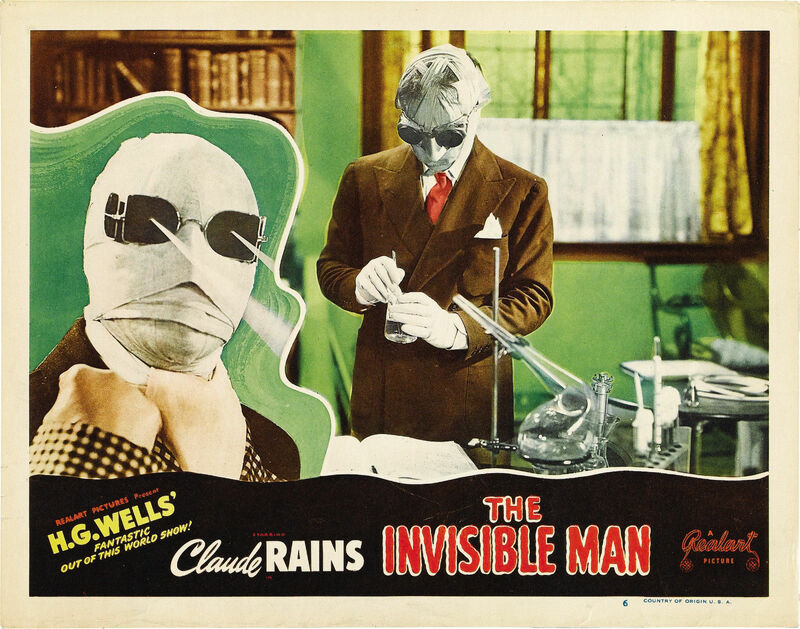 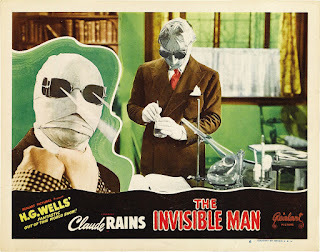 Part of the greatest line of monster masks of all time. 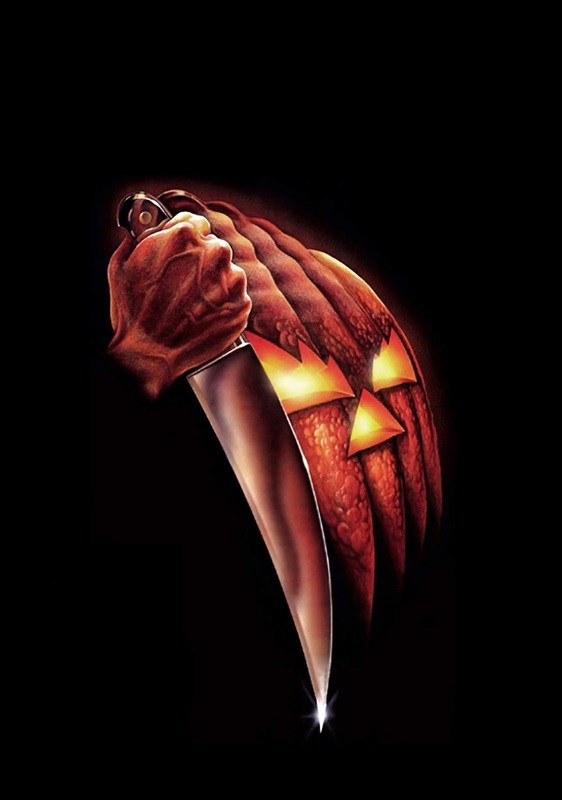 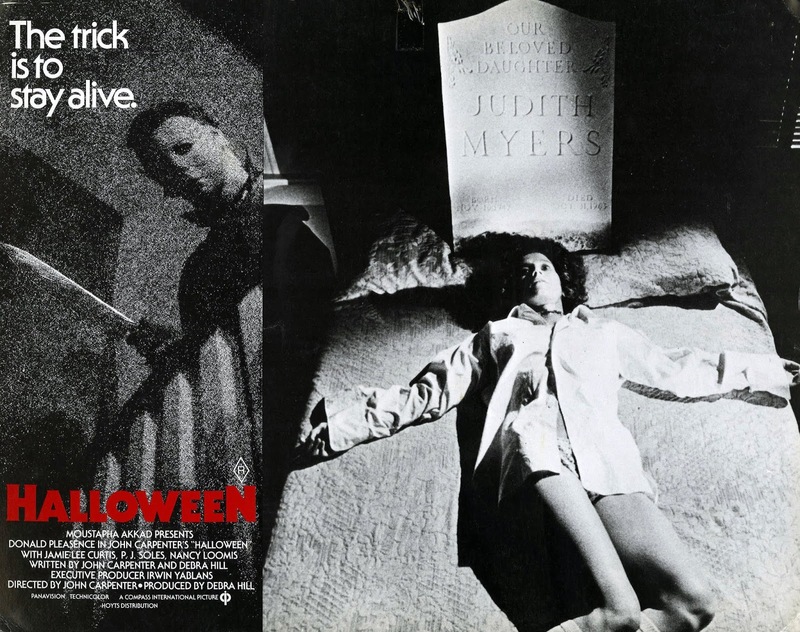 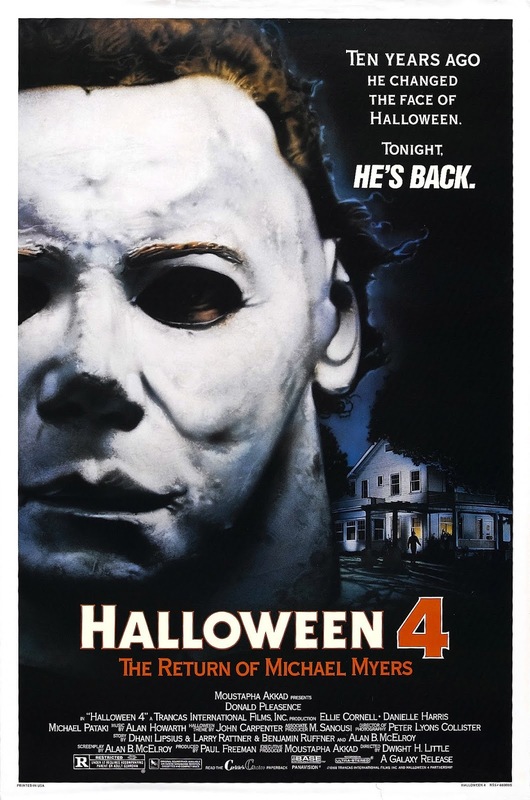 Monster Movie Posters: "I Was A Teenage Frankenstein"
Monster Movie Posters: "Halloween 4: The Return of Michael Myers"
Here is the knife-wielding jack-o-lantern from the movie poster of "Halloween". 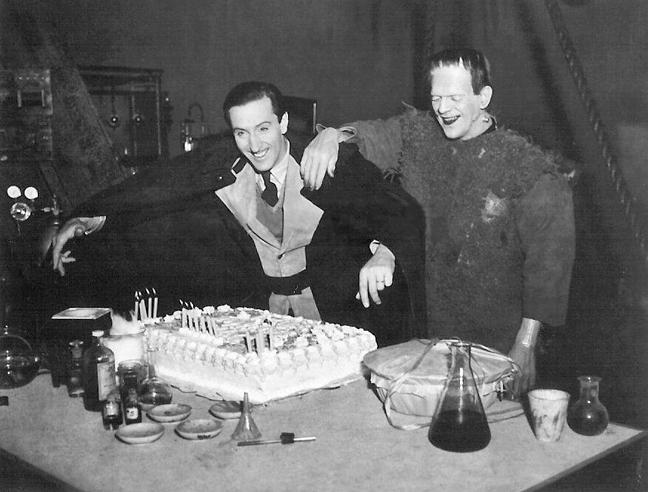 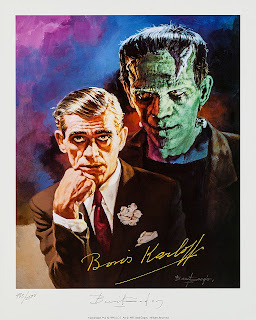 Basil Rathbone tries to hide the cake from Boris Karloff to surprise him for his birthday on the set of "Son of Frankenstein". 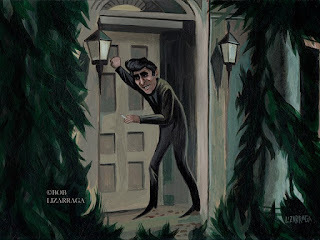 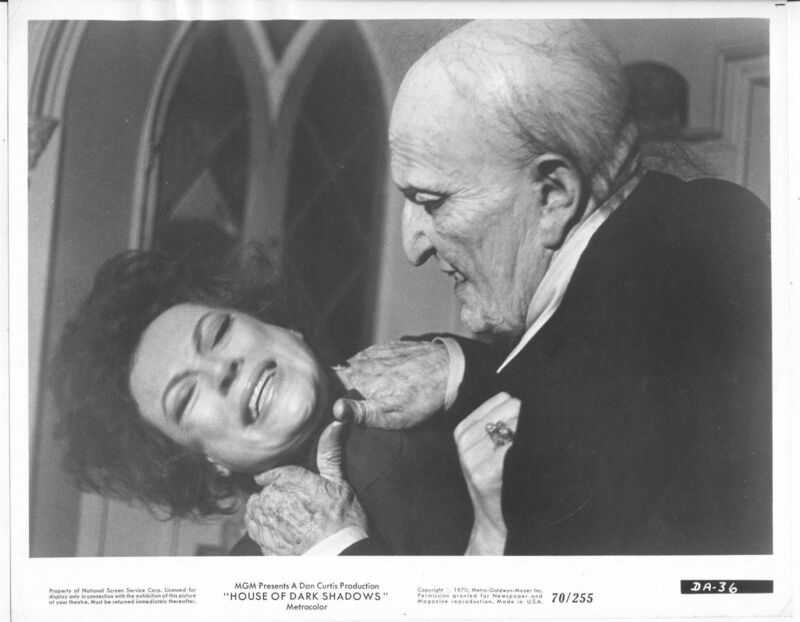 He's on the attack in "House of Dark Shadows". The Creature beckons you in "Creature From the Black Lagoon"! 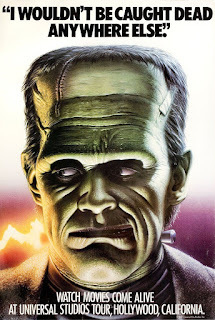 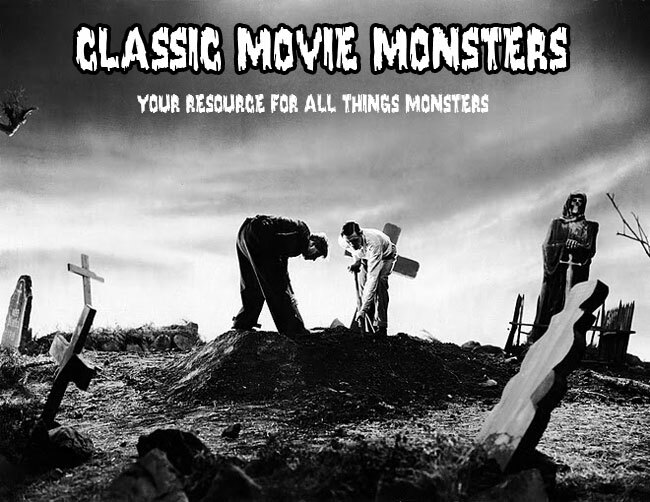 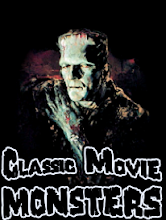 Larry Talbot and the Monster are in the middle of their operation when things don't go to plan in "Frankenstein Meets the Wolf Man". 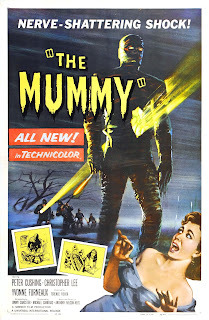 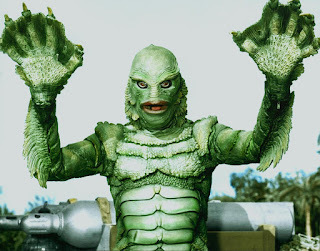 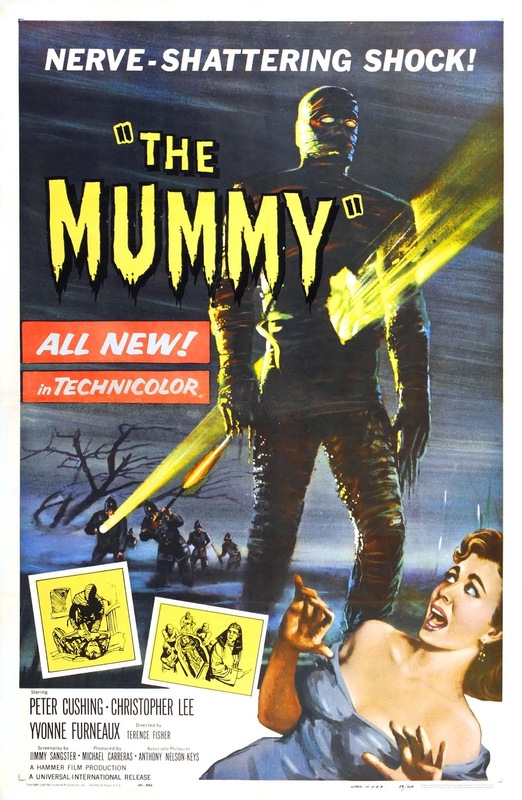 Why it's the Creature From the Black Lagoon! 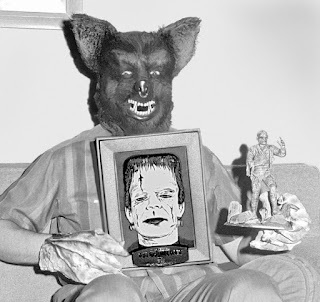 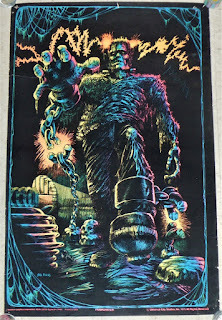 This Wolf Bat Monster... shows off his Aurora Mummy model kit with a winning plaque from the Monster Model contest put on by Universal, Aurora, and Famous Monsters. 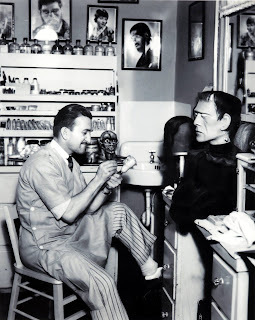 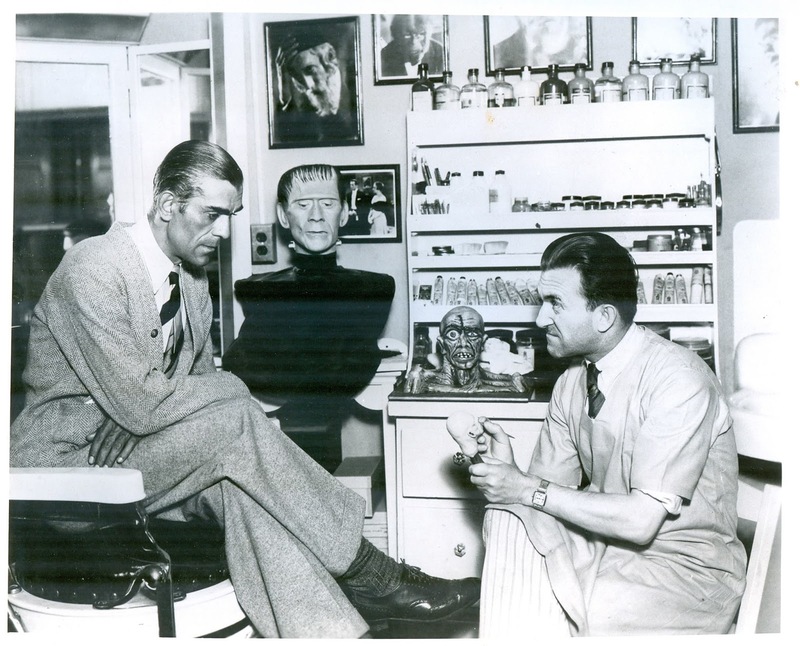 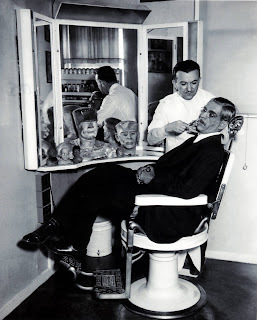 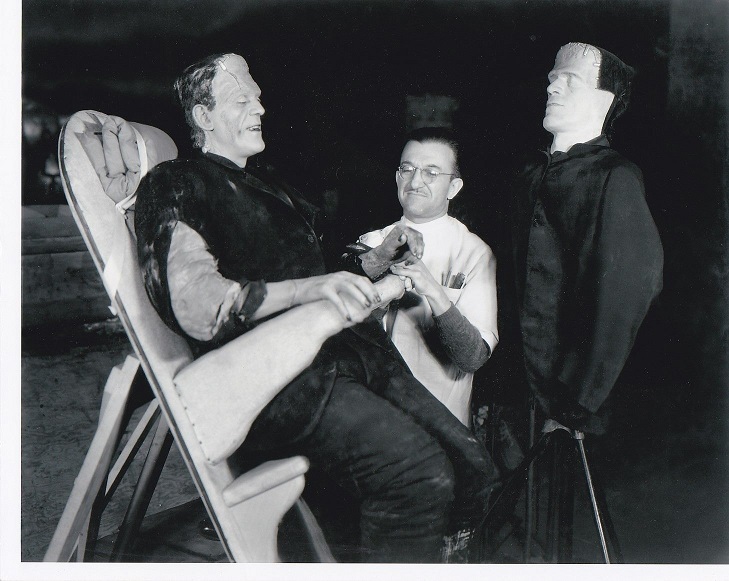 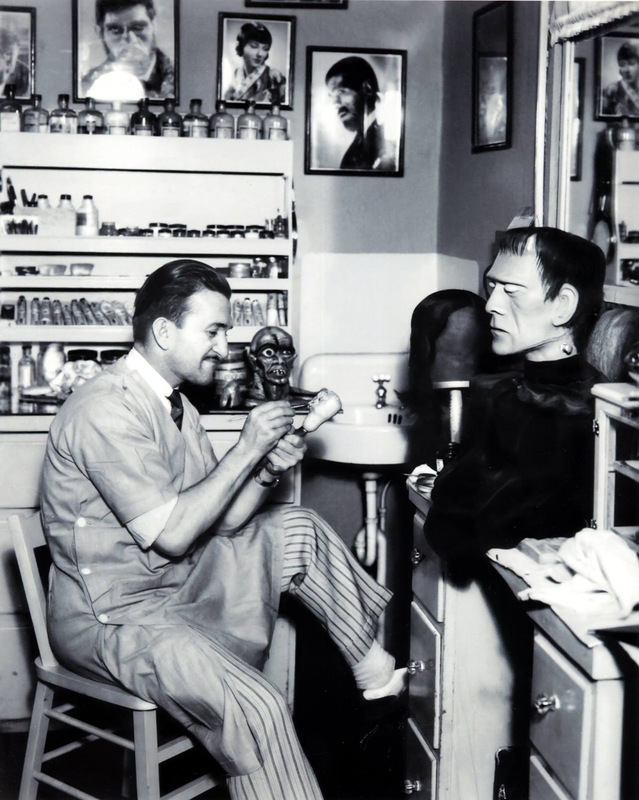 Jack Pierce attends to Boris Karloff while the stand-in dummy looks on. 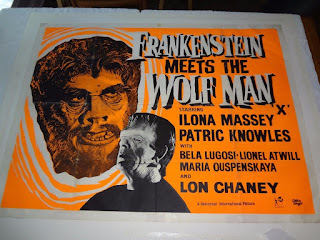 Or is it the other way around? The Bride of Dr. Frankenstein! 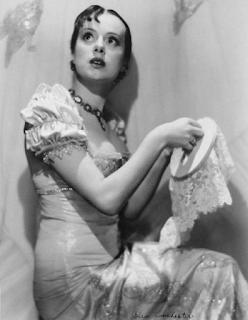 Valerie Hobson as Elizabeth from "Bride of Frankenstein". 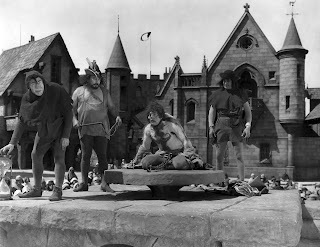 Quasimodo is whipped solely for being different in "The Hunchback of Notre Dame". 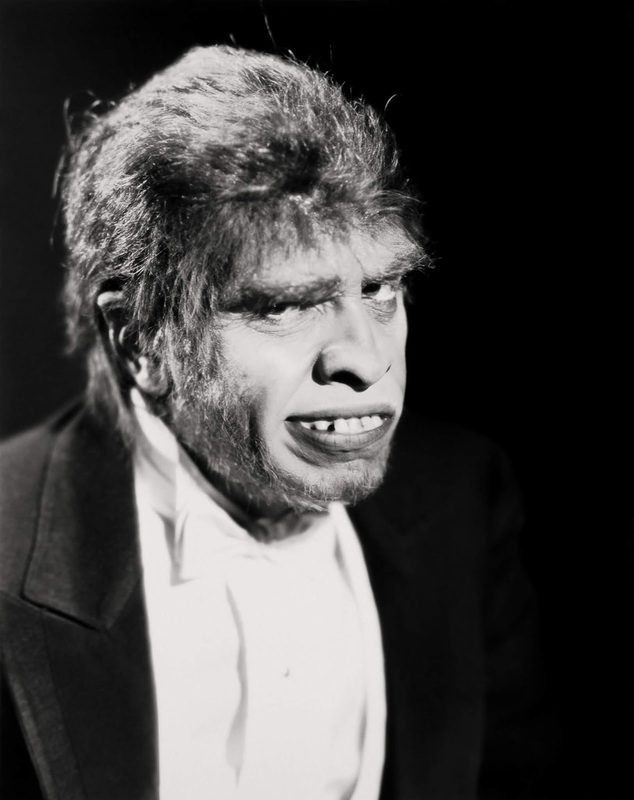 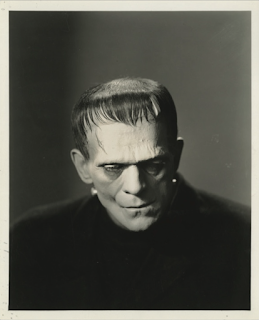 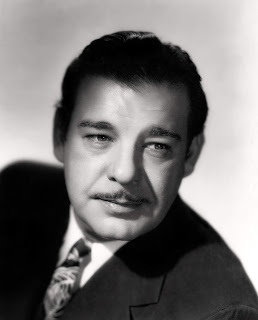 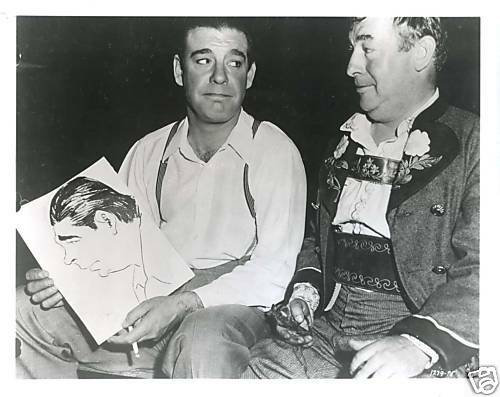 Lon Chaney, Jr. looking dapper and handsome! 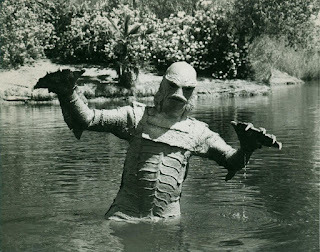 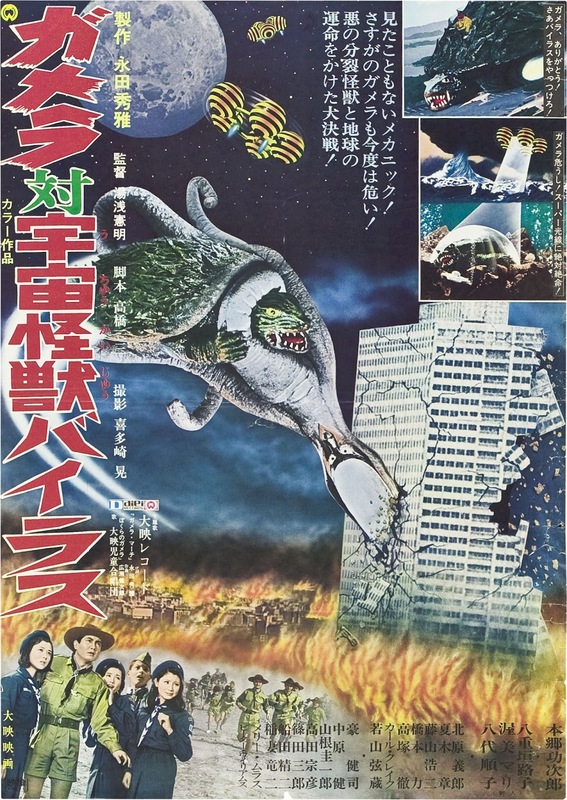 Revenge of the Creature Has Released! 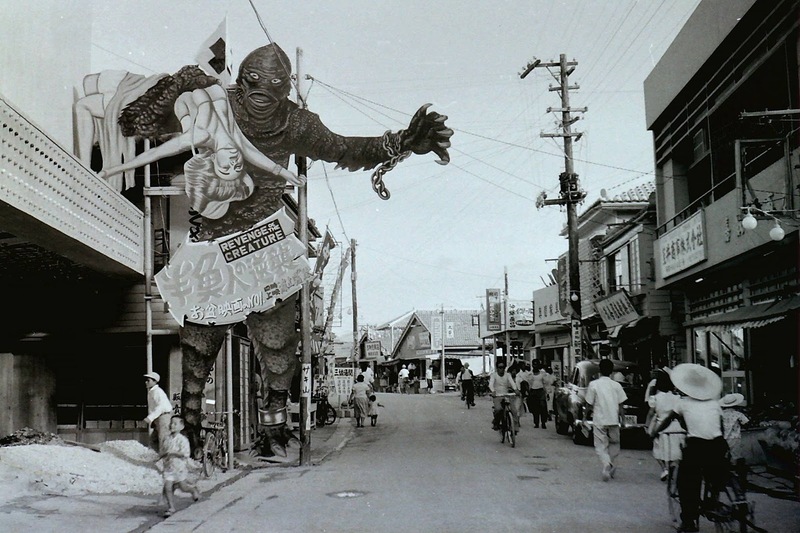 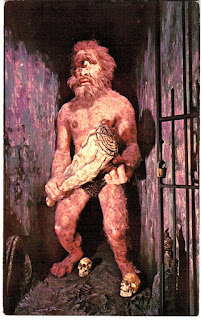 I'd love to have seen a giant Creature in my town! 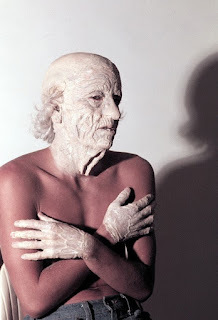 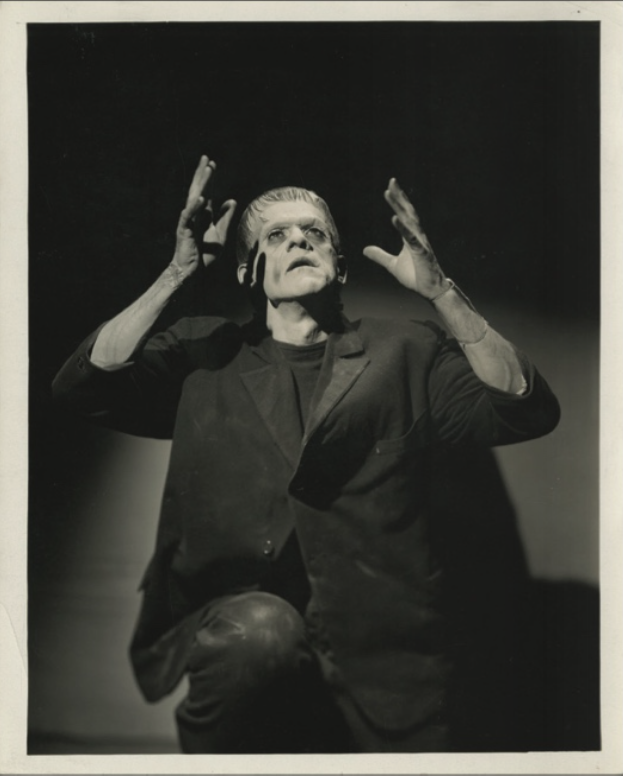 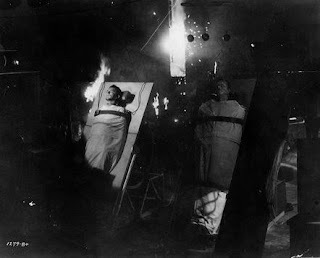 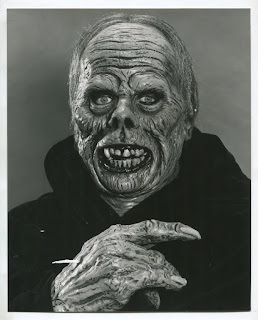 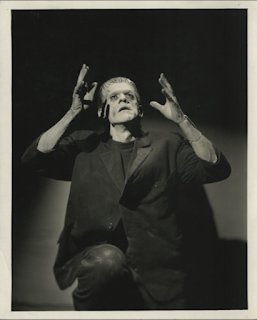 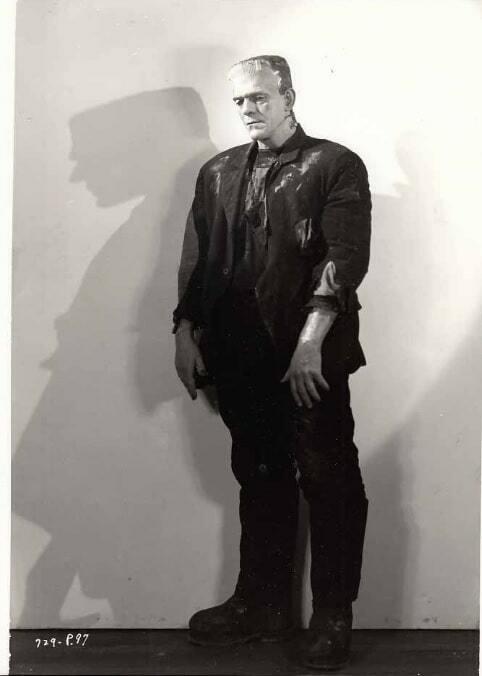 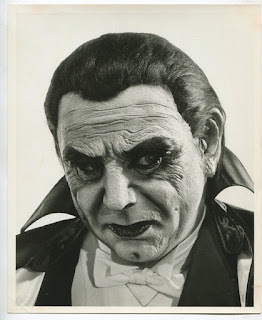 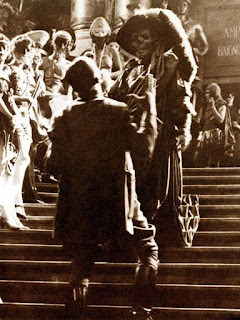 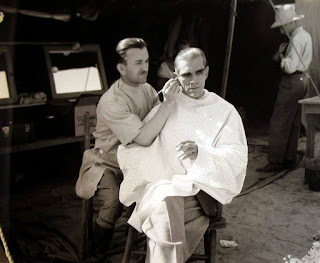 A great and rare behind the scenes photo of Lon Chaney from "The Phantom of the Opera".